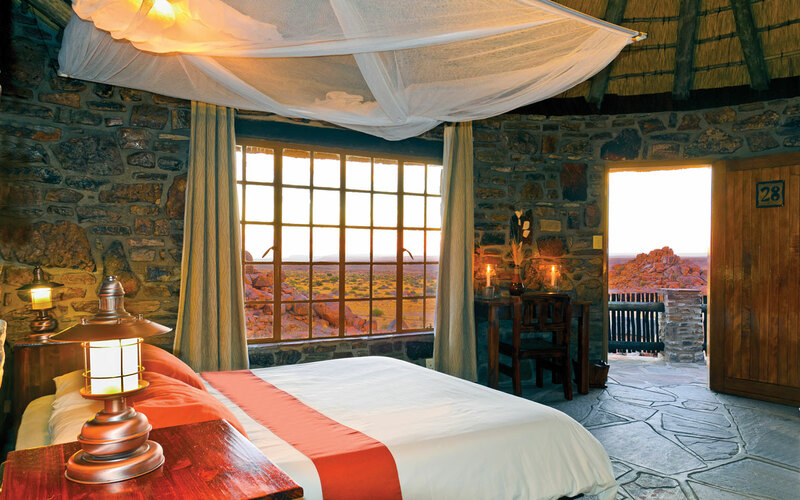 Canyon Lodge is situated on the 520 square kilometre, privately owned Gondwana Canyon Park. 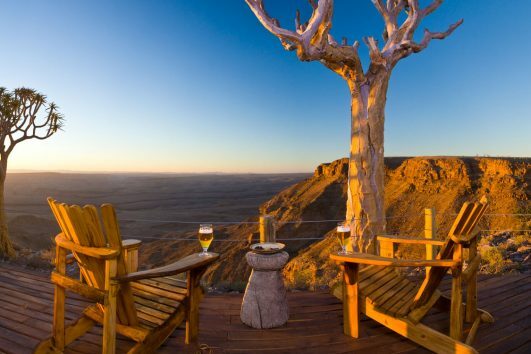 It is only 20kms from the main viewpoint of Fish River Canyon and is built from natural materials, including local rock and thatch roofs. Although a relatively large lodge it certainly does not lack character. 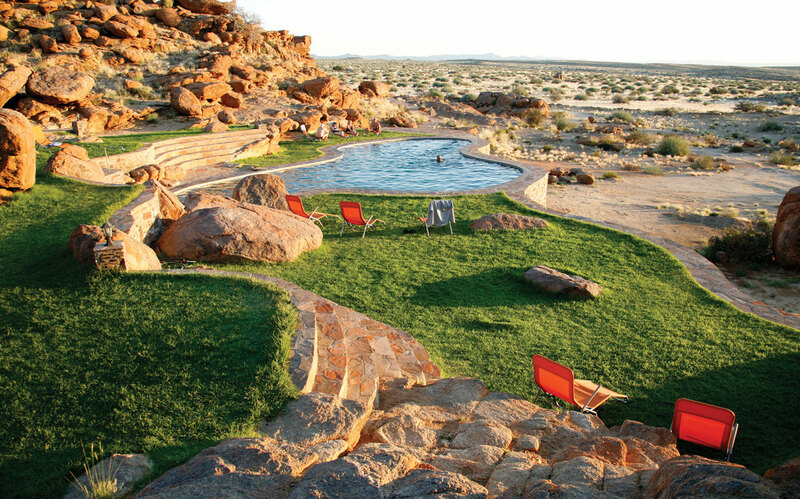 Canyon Lodge is an ideal place from which to explore the Canyon and an hour’s drive from Ai Ais Hot Springs. 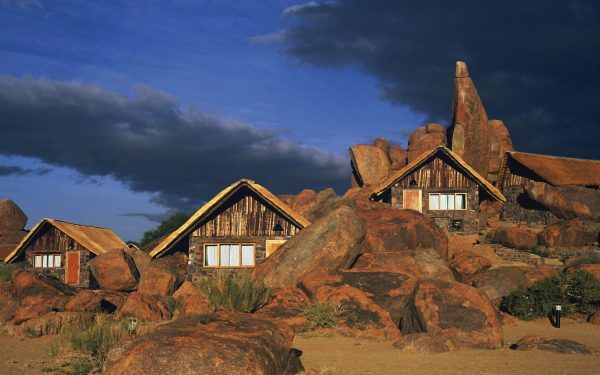 The Canyon Lodge’s main area lies in the shelter of a granite hilltop, and the lodge itself has been built amongst enormous boulders, designed to blend in with the natural environment. 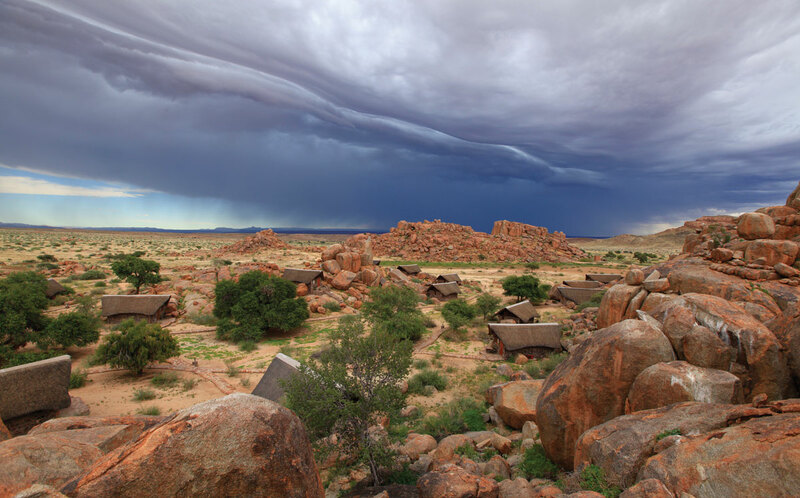 There are 30 small stone bungalows that are built around the rocks of the granite kopjes. Small paths lead between enormous boulders to the little cottages. The main lodge houses a dining room with cosy fireplace, shady terrace and small pool.